Esports is aggregating an almost inconceivably large global audience of cashed up and highly engaged digital natives and millennials, yet it remains a mystery to most business leaders. But given the huge potential, it is little wonder that established sporting codes see a lucrative greenfield opportunity and are opening their check-books. Which-50 investigates. 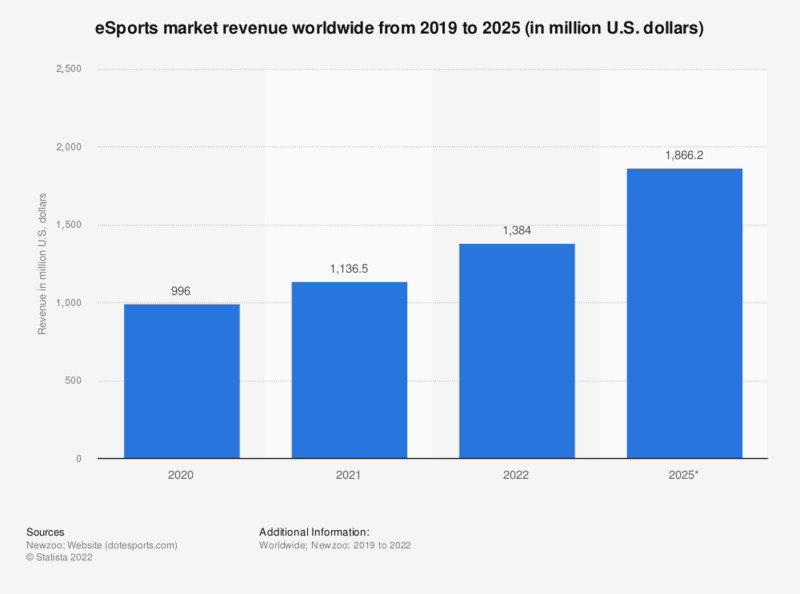 Global esports revenue is expected to reach almost $906 million this year, climbing to $1.65 billion by 2021, according to an annual report on esports by market researcher Newzoo. The majority of revenue is generated by sponsorships and advertising, while media rights is the fastest growing revenue stream. According to the Newzoo research, the global esports audience will reach 380 million this year, made up of 165 million esports enthusiasts and 215 million occasional viewers. It was the promise of these kinds of numbers that drove Amazon’s 2014 acquisition of Twitch, an online service that streams games to millions of fans. At less than a billion dollars in cash, that price now looks like a steal. Networking: The Esports Conference on July 26 at the ICC Sydney. The lucrative National Basketball Association in the US with over a billion fans worldwide is an early stakeholder in the emerging market. Its NBA 2K league is an esports initiative run with Take Two Interactive. Already 17 of the 30 teams are participating. The inaugural season began in May this month and is being live-streamed on Twitch. A modest 9000 viewers watched the first game, with the aspiration being to attract 10 times that number to a typical contest. Gaming has become one of Australia’s primary forms of leisure and entertainment according to Darren Kwan, Founding President, Australian Esports Association (AEA). He made his remarks in advance of Ashton Media’s upcoming The Esports Conference on July 26 at the ICC Sydney where he is speaking on a panel about trust and transparency in esports, and how the sector will deal with regulation, legal loopholes, betting, copyright and IP issues. The gaming goldrush hasn’t gone unnoticed by those outside the industry and it’s attracting more and more interest from traditional sporting clubs (and their sponsors) who are keen to build relationships with an otherwise hard to reach demographic. In May 2017, Adelaide Crows became the first Australian sporting club to buy an esports team, acquiring Legacy Esports. Essendon followed suit in December 2017, partnering with Executive Sports Entertainment to purchase professional esports team Abyss. And the AFL is partnering with Riot Games to host a stadium tournament for League of Legends in November. Essendon Football Club bought the Abyss esports team in 2017. Which-50 contacted each of the remaining teams in the AFL to ask them about their interest in esports. Six of the clubs which responded before deadline — Greater Western Sydney, Melbourne, St Kilda, Brisbane, Richmond and Collingwood — had similar messages: We’re keeping an eye on the space, but have no immediate plans to invest in esports. Phid McAwesome, head of gaming industry marketing leader and media outlet Goto.Game, explained that the interest from sporting clubs in esports is a reaction to a drop off in interest from the millennial market, which is hurting membership revenue. “The millennial market just has no interest, they don’t want to join up to go to the stadium every week to watch a game. They don’t care,” McAwesome told Which-50. Esports offers clubs the opportunity to get their brand in front of a younger demographic. In terms of revenue, they make money through esports the same ways they always have, via sponsorships, selling merchandise and prize money. “The way they are tapping into that market is by buying an esports team, running esports events or aligning themselves with gaming where they are able to get that youth market interested in their club in some form,” McAwesome said. He also believes traditional sporting businesses investing in esports is a good thing for both sides. “There’s an argument either way on this, but I believe that as long as they are coming in for the right reasons and they create the right atmosphere where the right people are running the esports side of their business and they are fostering a community around their team… then I think it’s good for both sides,” McAwesome said. One benefit clubs can bring to esports is adapting the traditional model of team management, support, branding and merchandising to help grow the industry, McAwesome said. But some gamers are wary of the outside interest from sporting clubs. Nathan Joseph owner of Corvidae esports believes the influx of cash could have a negative effect on the industry. “People have spent years building the esports industry, fueled by pure passion. Traditional sports getting involved may or may not have been something they wanted, but I think when you start trading off passion for money, things start to change. The industry is growing at such a rapid pace that these traditional sports investors are not required. I fear what the potential outcomes could be of traditional sports having a major grip on our scene,” Joseph told Which-50. And it’s not just the gamers who are skeptical of the new alliances. Members of the traditional sporting world are still largely ignorant when it comes to esports. Tyler Emsden, Merchandise and Licensing Manager at Essendon Football Club concedes the “old guard of sports media” still hold on to “outdated stereotypes about gamers” and in Australia, esports remains “on the fringe”. Emsden is responsible for Essendon’s esports team, which was rebranded as ‘The Bombers’ in line with the 147-year-old football club. “While these beliefs may be held by some, as long as the growth trajectory continues for esports globally and locally, big-name companies continue to invest, and tournaments continue to be held in front of packed stadiums of 90,000 fans, the legitimacy of esports will only become harder and harder to refute,” Emsden said. “As the industry is still commercially immature, the growth potential is exciting and the commercial and consumer revenue and fan engagement opportunities are at the forefront of every organisations mind,” Emsden told Which-50. Adelaide’s acquisition of Legacy esports in 2017 came as a surprise to many, but for the Crows and its chief operating officer, Nigel Smart, the investment had been years in the making. Smart, an Adelaide club veteran with 278 games and two premierships before moving into an executive role, told Which-50 the club had been investigating esports opportunities for at least two years prior to the purchase including an investigation by an independent consultant. What they found was an “amazing opportunity” to grow and engage with young audiences – two aspects the club had found challenging. “Our situation is one whereas a football club and as a community club, growth and future growth is on our agenda,” Smart told Which-50. According to Smart, in traditional measures, the club is doing “really well”. Sell out crowds are the norm and the Adelaide finds little difficulty selling media assets and corporate hospitality. However, these revenue streams are in many ways linked to on-field performance – a factor with a constant risk of fluctuating. In the case of the Crows, Smart says, the revenue streams are also “pretty much tapped out”. A nice problem to have, but a problem nonetheless. “It’s kind of like well, you get into a situation of growth is really about field management… So growth is then probably a bit of a risk if the team performs poorly,” Smart said, qualifying that growth is not solely a financial measure. According to Smart esports started as an idea “on a whiteboard”, one he was tasked with investigating despite little to no experience in the subject matter. Globally, traditional franchises had begun making moves into esports which piqued the Adelaide club’s interest, but in Australia, it remained an unexplored area. “We actually did a lot of work, it wasn’t a decision of hey, let’s get into esports and let’s just acquire Legacy. We started at ‘what is esports?’ And really tried to understand what’s happening with esports globally, but what’s happening with esports in Australia,” Smart said. The research, which included an independent consultant, identified 15 “entry points” into esports, ranging from tournament sponsorship through to team acquisition. After “systematically” evaluating the options, the Crows landed on acquiring a team. Adelaide is still developing the systems around the Legacy team as it moves to full professionalisation, but there are similarities with the more established sport, according to Smart. “The system is different [from the AFL team], but the fundamentals are very similar,” Smart said. While it is early days, the growth potential for Legacy arguably exceeds that of its parent club. Unlike AFL, esports and the global fanbase has an international scale. “There are some great esports organisations out there that are globally competitive and you’re opening up the fan base and the audience base and scale really in terms of that international expansion,” Smart said, while noting the AFL’s international expansion remains “challenging”. Driving the acquisition is the theory Legacy will help the Crows engage younger audiences – a demographic that presents unique challenges, according to Smart. Professional sports clubs have traditionally struggled to keep fans engaged through their teens and twenties. For the Crows, they see high engagement from fans up until high school but then they “drop away”. “It’s a common problem where young people have got a lot happening in their lives through high school and school, and socialising and engaging,” Smart said. It’s especially challenging because younger audiences are consuming their content in markedly different ways, according to Smart. And these tend to be the audiences at the forefront of digital content services and gaming. They’re also “quite tech-savvy and they do not want to see sponsor’s ads”. “I think it’s a really important part that young people across the world are digital savvy, they can stream in their content so traditional forms are changing, and esports gives those abilities for a sporting club to engage with a new young audience and build that engagement and trust with them,” Smart said. The club’s latest esports endeavor is targeted directly at this demographic. Adelaide has partnered with game publisher Riot Games to host a high school esports competition. According to Smart, the move is an extension of traditional grassroots campaigns the club runs in schools, but rather than kicking a football, students will be competing in video games. “If we’re looking on a continuum, playing esports is no different,” Smart said, explaining that the latest venture is another opportunity for the club to engage with young fans. The Legacy acquisition and the club’s move into esports is a “long-term investment”. The benefits of esports aren’t always obvious for clubs with histories which began in the 1800s. Adelaide is a relatively young club, enjoying a prosperous stretch. For other teams, Smart recommends they conduct their own investigations as the esports potential is dependent on several factors specific to the code and the clubs. AEA’s Kwan predicts that as a collective, esports will emerge as the largest sports property in years to come. He says it is heavily correlated to the video game industry and market. “We are only starting to see the inter-generational pass-down of shared interest and passion for gaming and esports. He says he expects young parents who played games or competed in esports will share this joy and passion with their children, while other parents who are new to gaming and esports will use this as a way to connect with their children.